January | 2014 | Extollagy! Happy New Year! Here are the talks and tours I’m giving in 2014. Do come along! Morning in the classroom, afternoon a detailed tour. £35. Academic paper on the Decorated style and the Bristol Master. Evening. 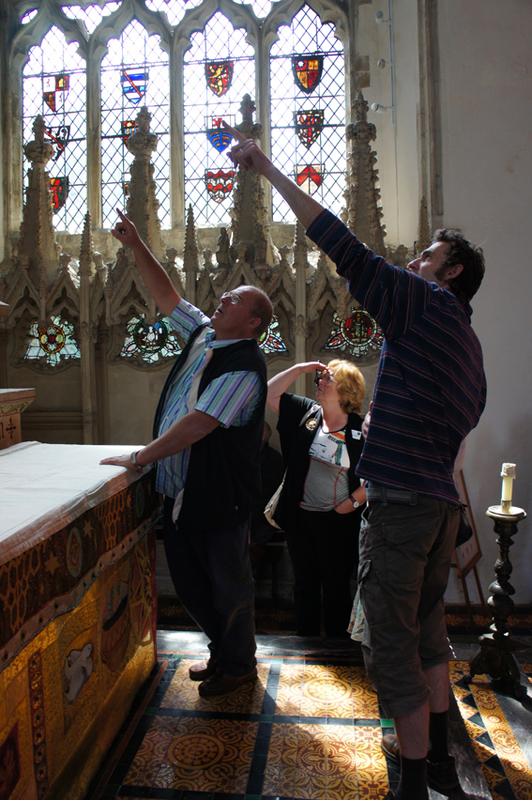 Visits to Norwich, King’s Lynn, Stamford, Peterborough, Long Melford, etc; explore medieval towns, cities and villages, discover how they worked, and visit their wonderful churches. Excellent food, too. http://www.villierspark.org.uk/study-tour. Residential weekend recreating medieval Cambridge and the birth of the university. Walking tours of the city with visits to colleges and churches, following the history as we go: a veritable time machine. Excellent food. http://www.villierspark.org.uk/study-tour. Morning in the classroom, afternoon a detailed tour. £30. …. I am also giving NADFAS lectures at Winchester, Osnabruck, Hamburg, Henley, Kensington, Teignbridge, and elsewhere. Contact me if you would like to attend any of these. Finally, my Shire book, Medieval Architectural Style, will be published in the Summer, and a new major publication is on the stocks for 2015.